Durable heavyweight Kraft stock resists rips and tears. Reinforced eyelet and two prong clasp stands up to regular use. Gummed flap delivers a secure seal. 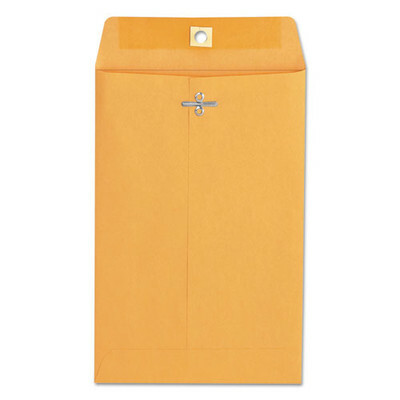 Envelope/Mailer Type: Catalog/Booklet; Envelope Size: 6 x 9; Closure: Clasp/Gummed; Trade Size: #55.